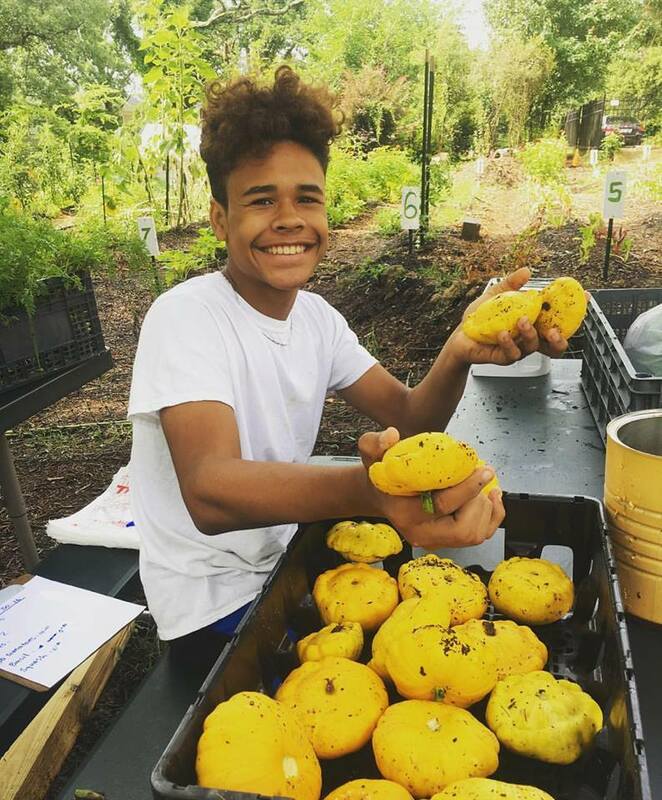 The Geer street learning garden builds resilient community connections and engages people of all ages in the powerful act of growing local food. 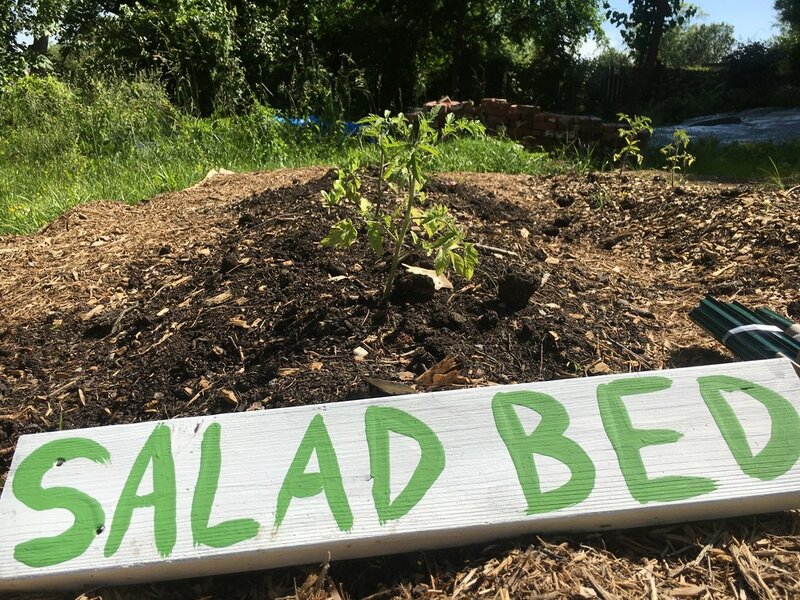 Located between one of the poorest census tracts and one of the most prosperous business districts in Durham, the Geer Street learning Garden is a flourishing urban green space. The garden has twelve raised vegetable beds, an outdoor classroom space, fruit trees, a cob pizza oven, a small greenhouse, two beehives, vermicompost system, perennial rain gardens, mushroom logs, pollinator habitats and areas for community gatherings...all on only a quarter-acre lot! Conveniently located in Durham’s urban food corridor, the garden neighbors Reinvestment Partners, Farmer Foodshare, and an urban demonstration apiary managed by Bee Downtown. 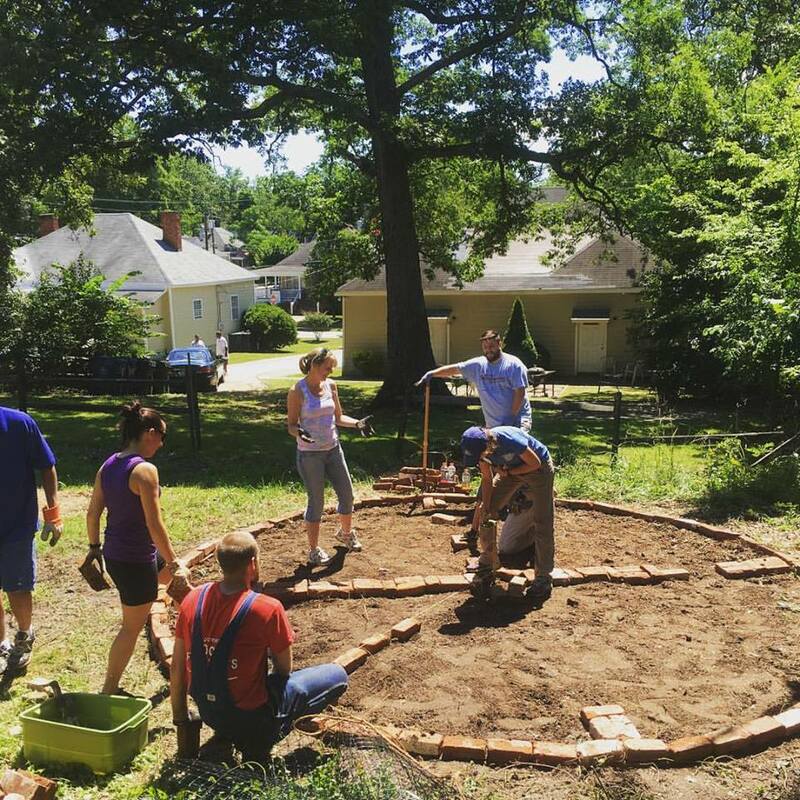 The heart of the Geer Street Garden are the countless community partnerships we have built in Durham. Read where food from the garden gets distributed. The produce grown at the Geer Street Learning Garden is delivered directly across the street to the Sunrise Recovery Resource Center community pantry. This community resource allows the garden to serve local produce to our neighbors who need it most and who are actively enrolled in assistance programs at Sunrise. Want to learn more? Get Involved. Volunteers from Burt's Bees inspect the garden's beehives. The Geer Street Garden is designed as a demonstration "learning garden" for visitors of all ages. 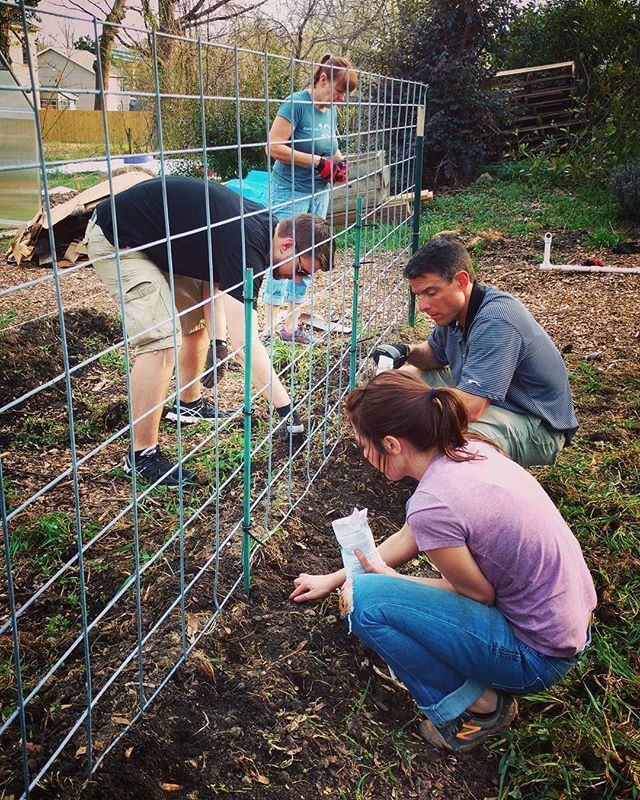 The garden engages corporate groups, civic organizations, school field trips, and family volunteers year round. These visitors all help to maintain the garden while working alongside staff members and neighbors. We also offer free gardening classes and workshops to neighbors and community partners. Our Seed to Supper class equips new and beginning gardeners with everything they need to know to start a vegetable garden on a budget, while workshops held throughout the season cover a wide range of gardening and food related topics. All the food grown in the garden is cultivated without the use of synthetic pesticides or harmful chemicals. Instead, our staff utilize practices such as cover-cropping, companion-planting and vermicomposting to produce the healthiest food possible for our pantry clients. The Inter-Faith Food Shuttle will start their Seed to Supper, adult gardening education course in Durham this April. Learn more about the Seed to Supper program and sign up to participate! Mission Moments are stories we share from the field to inform, inspire and motivate. 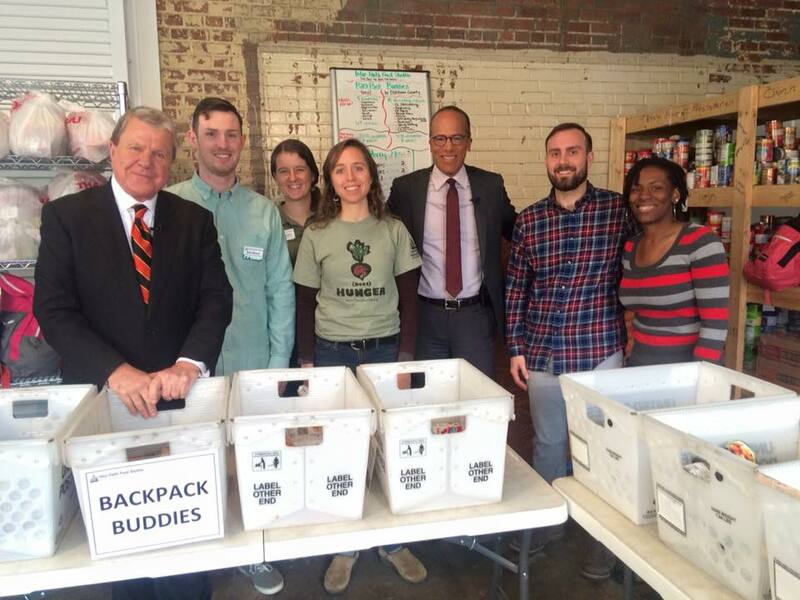 These moments remind us all just how lucky we are to be able to do this important work. “Brussel Sprouts!” That was Rainey West’s emphatic answer to her favorite food. It’s also proof that our urban agriculture education team is starting a cooking and gardening revolution right here in Raleigh and Durham. At the corner of E. Geer Street and N. Roxboro Road in Durham, North Carolina there is something special happening. 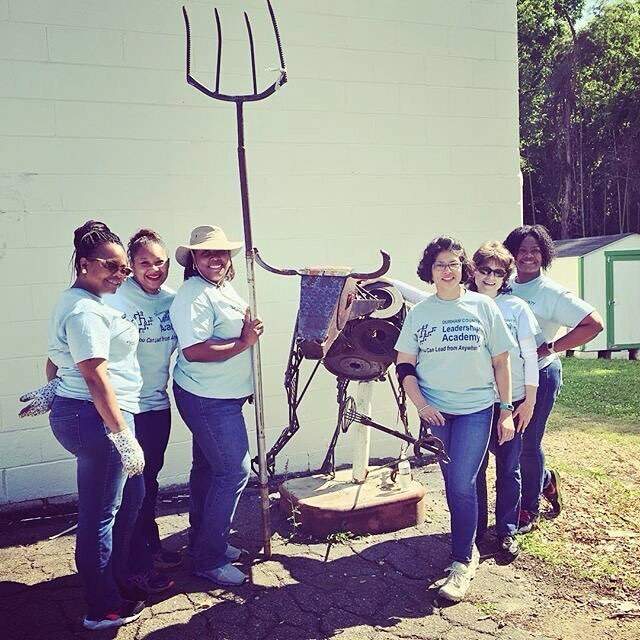 With the help of Blue Cross NC, Inter-Faith Food Shuttle’s Geer Street Learning Garden and Sunrise Recovery Resource Center are working together to showcase the restorative power of getting your hands a little dirty. This week, Cary Academy and Durham Academy came out to The Food Shuttle Farm and our Geer Street Learning Garden to do some hard work and learn more about food insecurity and how Inter-Faith Food Shuttle is fighting hunger in the Triangle. It’s a Monday morning at Eastway Elementary and third graders are learning how healthy soil is vital to growing nutrient-rich vegetables. They’re even learning how those veggies create a healthy diet. The last day of May was perfect for celebrating a place for growing, for coming together, and for renewal and revitalization: Geer Street Learning Garden. By providing students with tools to grow their own food, we are alleviating food insecurity and promoting health in children’s lives.